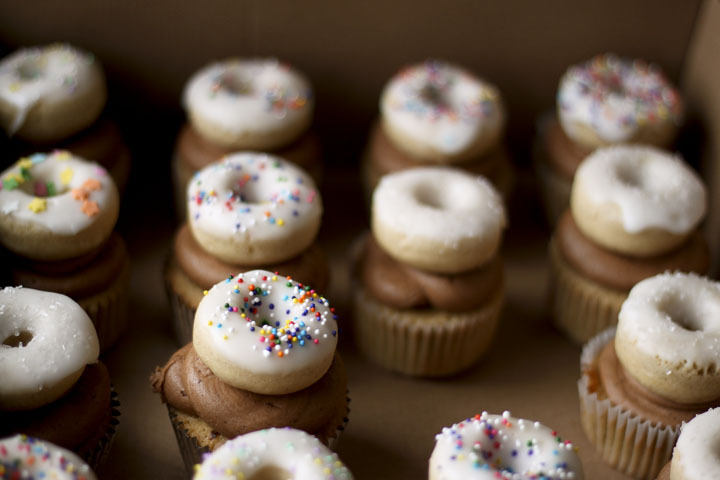 Coffee & Donut Cupcakes — always with butter. Oven 350F. Line 2 cupcake pans with paper liners. Beat butter and sugar until light and fluffy, about 3 minutes. Add eggs one at a time then set aside. 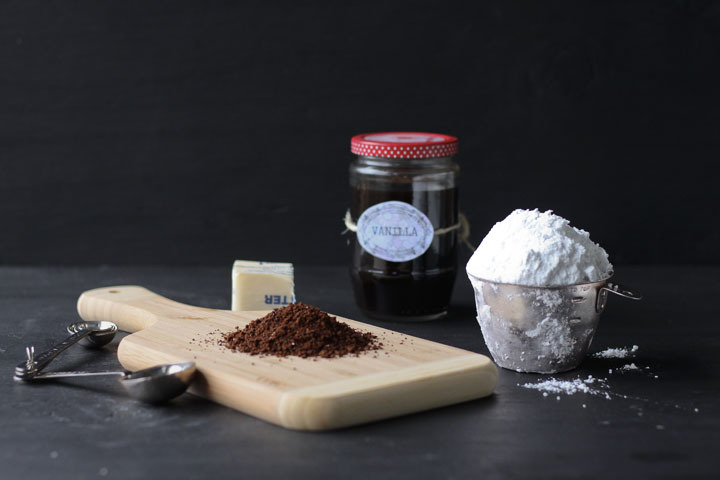 Whisk flour, baking powder, salt and instant coffee. Mix coffee and milk together in a separate bowl. Gradually add the flour mix and milk mix, alternating to the butter mix. Fill liners 2/3 full. Bake for 22-25 minutes until the center is set and top springs back. Let cool completely on a wire rack. Dissolve coffee in warm water. Beat with butter and vanilla. Gradually add powdered sugar and beat until creamy. Pipe onto cooled cupcakes. Oven 325F. Grease a mini donut pan. Mix flour, sugar, baking powder and salt together in a bowl. Add butter, eggs, milk, vanilla, nutmeg and cinnamon. Beat until well blended. Fill donut molds in pan 2/3 full. Bake for about 8 minutes. Remove from pan immediately and let cool completely. Whisk together sugar and water until smooth. Dip tops of donuts in glaze, top with sprinkles then let dry completely. Place atop cupcakes right after frosting.